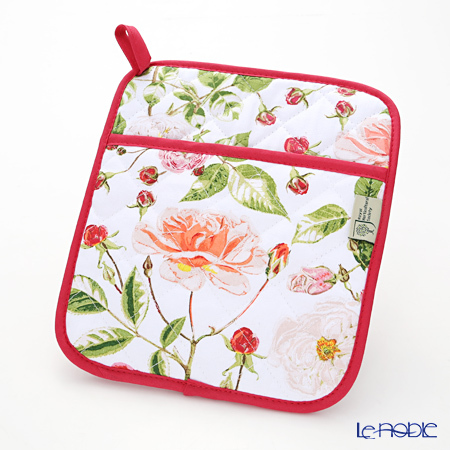 Elegant and modern atmosphere where drew in black line drawings, such as flowers, fruits and vegetables, even drifting pot holders. It is made in collaboration with the popular children's book author drew on the full loving animals United Kingdom kitchenfabrickmaker and British, "Hannah and Dale" tea cozy. It is made in collaboration with the popular children's book author drew on the full loving animals United Kingdom kitchenfabrickmaker and British, "Hannah and Dale" oven gloves.